Flash-Post, Irvine MINI: Let the Party Begin! We just want to drop a quick post on the recent grand opening party for Irvine MINI. 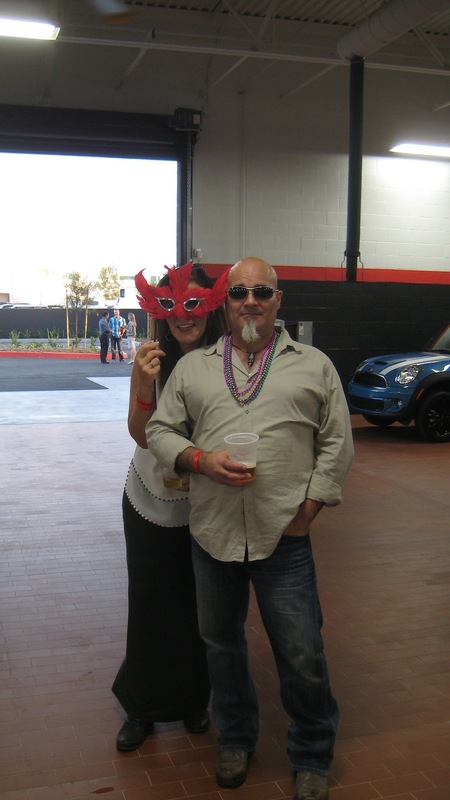 The Mardi Gras inspired celebration came with rich food, free-flowing drinks, and live music! It also gave the WAI design team an afternoon to indulge themselves in the backdrop of their hard work. So enjoy the pictures, they are off-the-cuff and raw (but hey, so is Mardi Gras)! Like us on Facebook if you see a photo you like!